Hello Summer and Hello Readers! Yes, that is right...school is out for summer! Can you just hear the tune in your head? I said my goodbyes this morning and even gave/received some breathe taking bear hugs too. Ahhh! We do get attached, don't we? 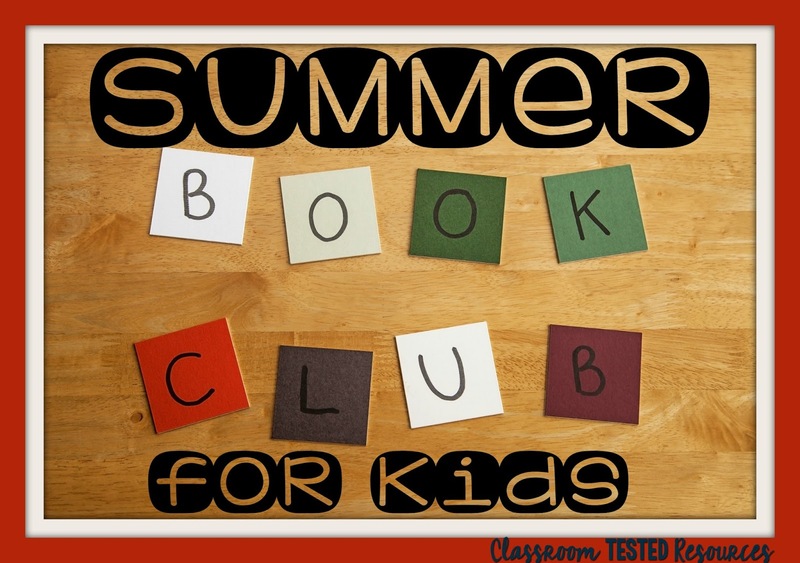 Well, after a long year of hard work, I want nothing more than for these sweet kids to read and maintain this summer, and I so wish my students were able to join me for today's topic, Summer Book Clubs. I have been trying to come up with a great blog post topic all week, and this one hit me last night. In today’s post, I'll be sharing a few idea on organizing a book club for kids, great book options, discussion ideas, and possible activities. Then, the next steps would be for you, dear readers, to get it started. Being organized before launching your clubs is really important. You will want to think about the details prior to sending your first invitation so that you reach the purpose you're trying to achieve by starting the book club in the first place. 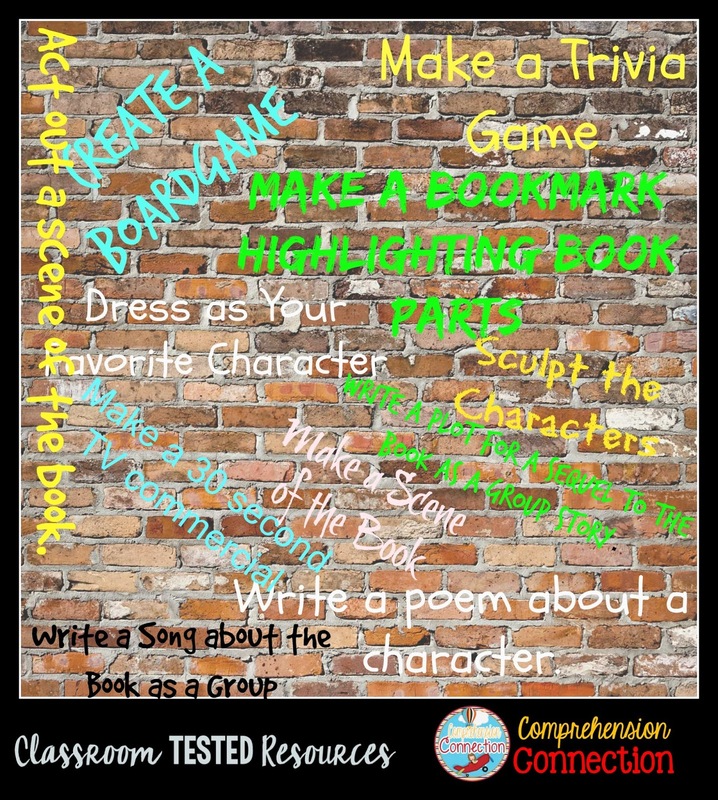 Outlining those goals and establishing book club norms will help everyone benefit from the time. Consider these goals, but make them your own. 1. Make the book club time fun for everyone who attends. 2. Increase the amount reading completed and level of the text. 3. Improve reading comprehension through stimulating discussion. 4. Encourage hands-on creativity through book projects, drama, or crafts. 5. Build long lasting friendships and interest in reading. Defining the group will help ensure that the personalities will not conflict, but rather, build on each other's strengths. It's important that all members feel part of the group, so watch for strong personalities. I personally would recommend book clubs for students in grade four and up because that is the start for adolescent readers. Adolescent readers have certain characteristics that fit with the book club idea. They have a need to talk and socialize, enjoy books with a little controversy, crave time with friends, and love independence. Book clubs give them these opportunities. Another important consideration is the group size. I would recommend no more than 8 children. Chances are high that summer vacations or events will interfere, so you'll likely have six or so present. Where your group meets is another important consideration for your group. The kids will want some place quiet, cozy, and spacious. Remember that discussion is the purpose of the meeting, so organizing the chairs in a circle will lead to better eye contact and discussion flow. If the kids are getting creative, you will want to have the art supplies organized and available as well as the proper table coverings. Alternating homes of each group member shifts the responsibility around and allows each member to be part of planning the food. How books will be selected is another critical point. Will you have a particular theme, genre, or topic? Certainly, student choice is of huge importance. They need to buy in to it and will not if the adults dictate the books or are overly controlling of the time. Encouraging your group to check out sites like Good Reads or Amazon will help them narrow the options to just ones with great reviews and will also help the kids consider the cost of the books since each will likely want their own copy. I encourage my kids to use sticky notes for marking important points as they read which makes it easy for someone else to enjoy the book later. Reflect the age and development of the group and fit their reading abilities, thinking levels, and interest levels. Deals with any of the following...contemporary issues, problems, and experiences with characters the group can relate to. Great topics may be dealing with parents and other adults in authority; facing illness and challenges; dealing with peer pressure and coming of age. Include cultural, social, and gender diversity; environmental issues; or global issues. Here are a few great choices the book club organizer might suggest (or strategically highlight to the child member). The parent can also guide book selection somewhat by discussing book alikes, pointing the child to book reviews, and even blogs that review what's new. Activities can be done for any book if the group is interested. When I ran book clubs at my school last year, we chose our books (according to theme...magic, weather, and friends). Then, we read the first half of the book and met for session one. We began a group project and discussed the first half at that meeting. Then, at the end of the month, we finished the group project and discussed and ended with a sharing time. It was very enjoyable for the students. At school, the groups were run by parent volunteers mainly. Options you might use with any book. When I organized our group meetings, I gave each supervising parent a discussion guide and suggested activities to go with their book. I searched the internet for book discussion guides, and I found them for just about every book we used. These were great for starters, but I think it's much more effective for the discussion to come from the students and/or from a leader who has read the book and is very familiar with it. I think the discussion is much richer when students are sharing their thoughts, evidence from the text, and their reasons for feeling as they do. Students connect at a much deeper level when they are able to analyze the book to this degree. Imagine if students did this all summer long. They would return to us ready to pick up from there instead of spending valuable time reviewing the previous year. With that, I will say farewell til next time. 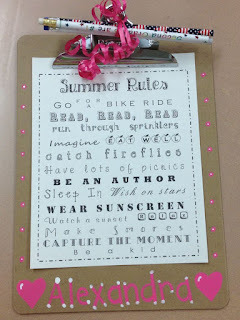 I have some packing to do because the beach is calling my name, but I do have a set of summer rules you can share with your students (if you are still in school). The original pin is attached to the image below...author unknown. If you would like a copy of what I made for my students, you can access it [here].